Presidential Bracket Picks | don't bite the apple…work is not a fairy tale! 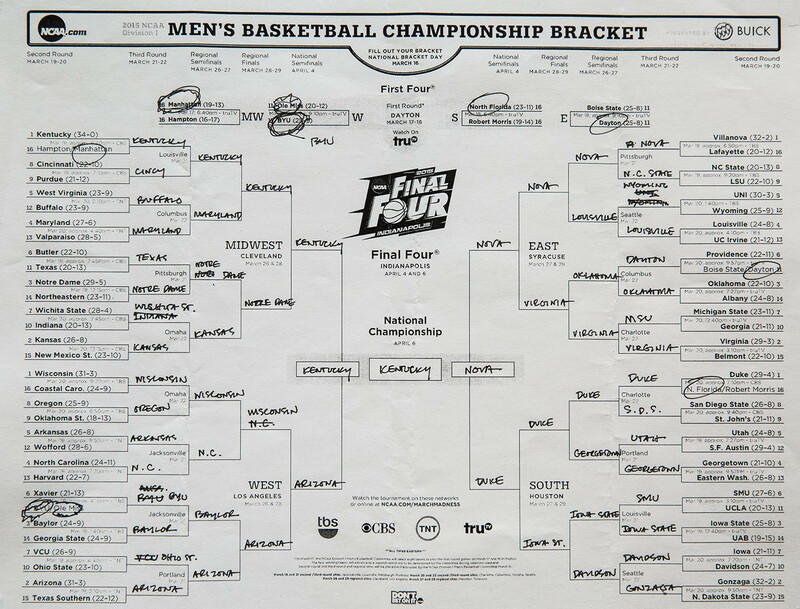 Once Upon a time the President picked some tricky Brackets. This year he went with all number one and two seeds. I’m going to give him some credit for picking Notre Dame all the way to meet with Kentucky! I’m hoping they get past Kentucky with lots of prayers! Here is his interview with ESPN explaining his picks. I think he may have a job after the White House. Let’s just hope he’s wrong about the Fighting Irish! We will have some productivity issues here tomorrow because ND is playing during my work day! Did you see our post about Productivity during the tournament? Check it out here! Video | This entry was posted in Fun and tagged Barack Obama, brackets, employees, Final Four, human resources, March madness productivity, motivation, NCAA Men's Division I Basketball Championship. Bookmark the permalink. Pingback: Presidential Picks…. | don't bite the apple…work is not a fairy tale!